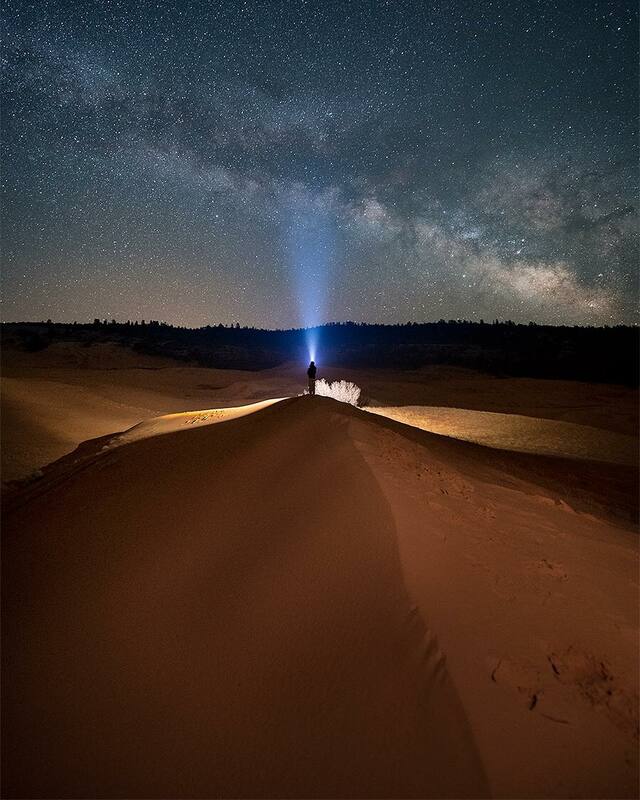 This week for Photo of the Week, we would like to feature a beautiful shot of the Milky Way taken at the Coral Pink Sand Dunes in Utah. Taken by the talented photographer Jason, this lovely composition really emphasizes the popularity of the thrilling landscape of Utah. Filled with rolling dunes, sandy arches and salty flats, Utah has a unique mix of landscapes that make for interesting night sky composition.